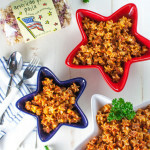 This is one of my oldest pasta recipes and favorite pasta dishes of all time! PERIOD. Making this brings me back to the early days of The Pasta Shoppe. John and I made pasta for dinner almost every night. Our experimenting ran the gamut. It was back way before “watching carbs” was even on people’s radar. And back when my young metabolism could withstand any kind of food intake. Oh, those were the days! When we eat at any casual Italian restaurant, anywhere in the world, I am likely to order a version of white clam sauce at least 85% of the time. And I usually like it, and sometimes even love it…but nothing compares to my mother’s mine! 🙂 Really…it is mine, it’s my Tuscan Style Clam Sauce! 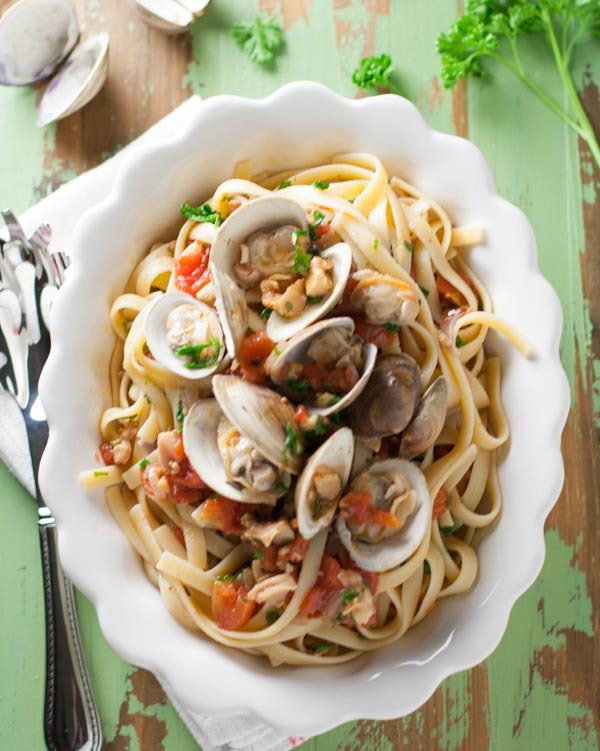 Tuscan Style Clam Sauce is unlike most traditional white clam sauces. The “Tuscan Style” in Italy refers to “Alla Viareggina”, meaning in the style of Viareggina, a coastal fishing village in Tuscany. 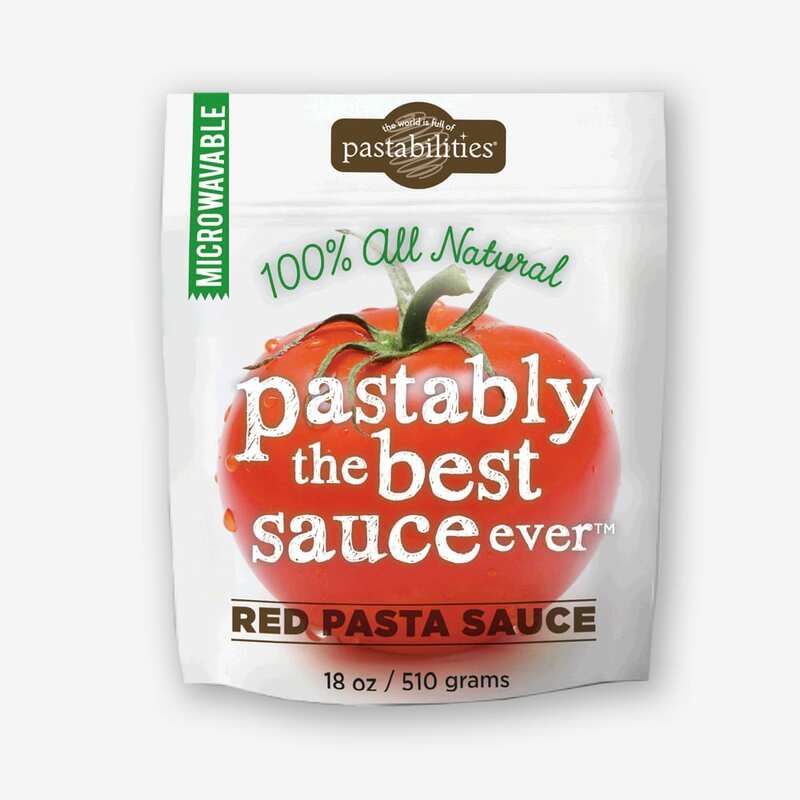 I’ve adapted a recipe I found in an old cookbook called The Encyclopedia of Sauces for your Pasta. 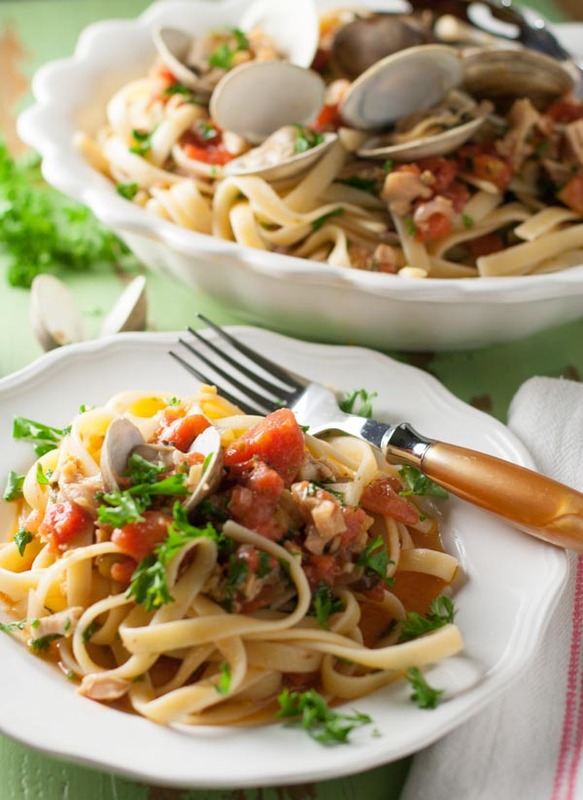 The sauce is lighter, not a creamy sauce, and the wine and clams are balanced with some chopped fresh tomatoes and a little heat. The onions add some sweetness. SLLUUURRRRPPPP. That sound is me, tipping the pasta bowl to my mouth after all the contents are gone. Gone are my manners too….sorry Mom! Chopped clams (canned) are easy to find at any grocery store…but when possible I love to add some fresh steamed clams and really take it up a notch, especially when serving guests. Again, my favorite time to buy seafood is Costco during a Seafood Road Show weekend. If you love shellfish like I do, you might check out my Mussels or Shrimp with Mango Vinaigrette. I fell in love with roasted banana peppers the first time I made this pasta dish. Banana peppers are a medium sized pepper, shaped like a banana (hence the name), and are mild on the spectrum of heat. Roasting them brings out the sweetness of the pepper, and you won’t believe the impact that just one pepper adds to the overall flavor! I used a store bought Italian imported linguine for this night, and really think a long pasta shape is best suited for clam sauces. 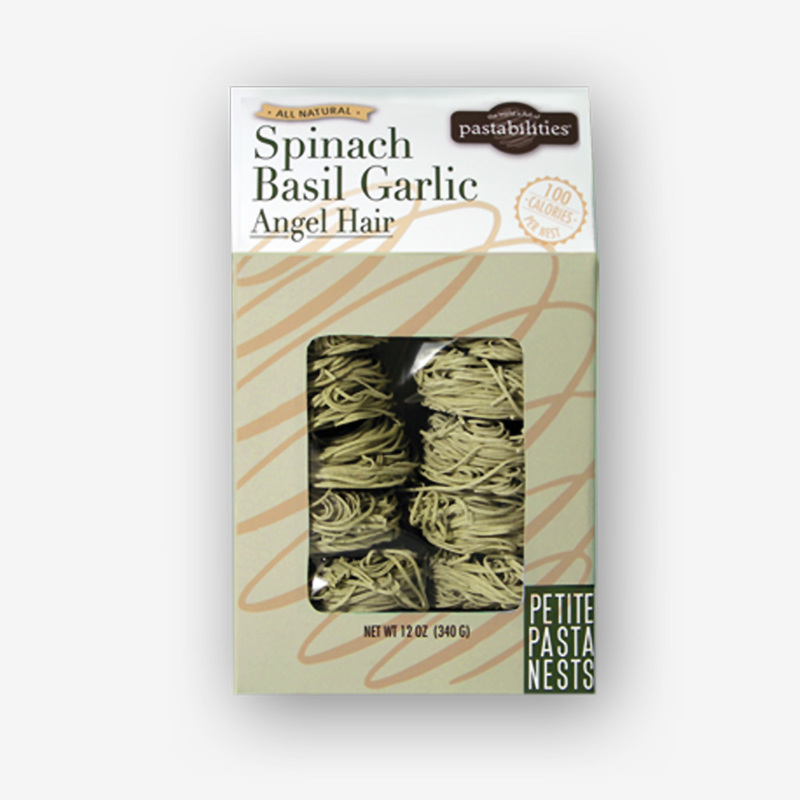 I could have used our Angel Hair, but for some reason I was craving a sturdier shape! 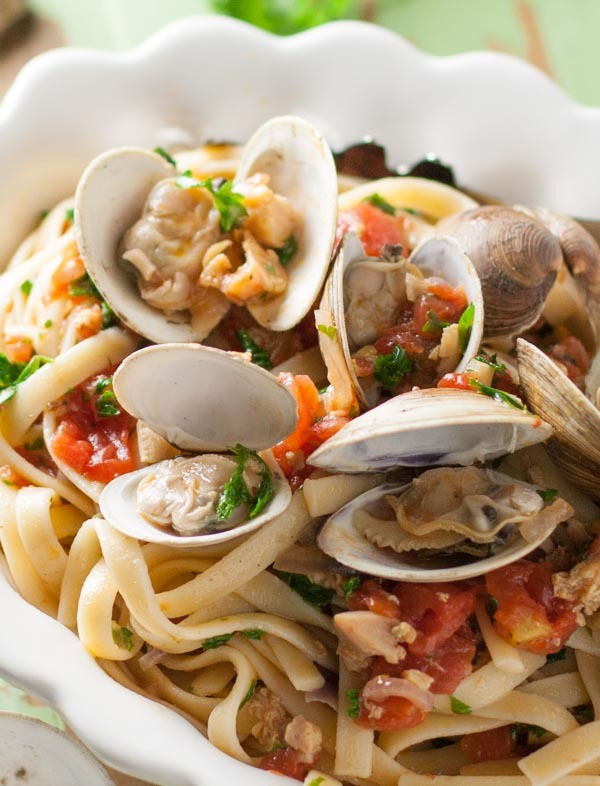 Enjoy making and serving my delectable Tuscan Style Clam Sauce…and dreaming you are in Italy, sipping wine at a small restaurant on the coast of Tuscany! 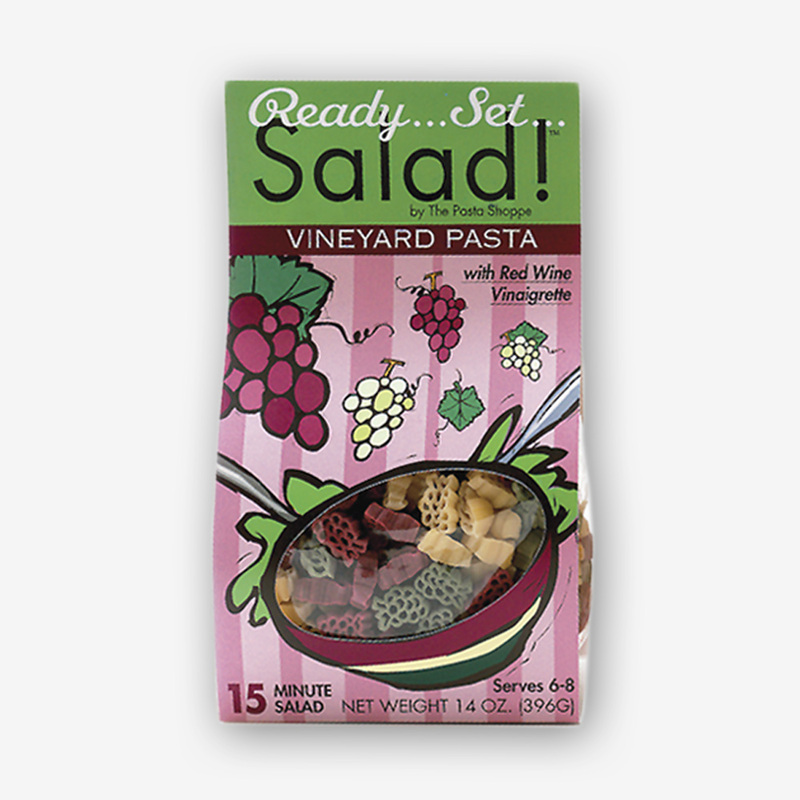 If you are interested in checking out our pasta selection it can be found here. And if you have a need for fundraising, we can help there too, just check out our fundraising program! 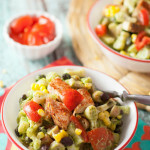 My favorite pasta dish of all time! 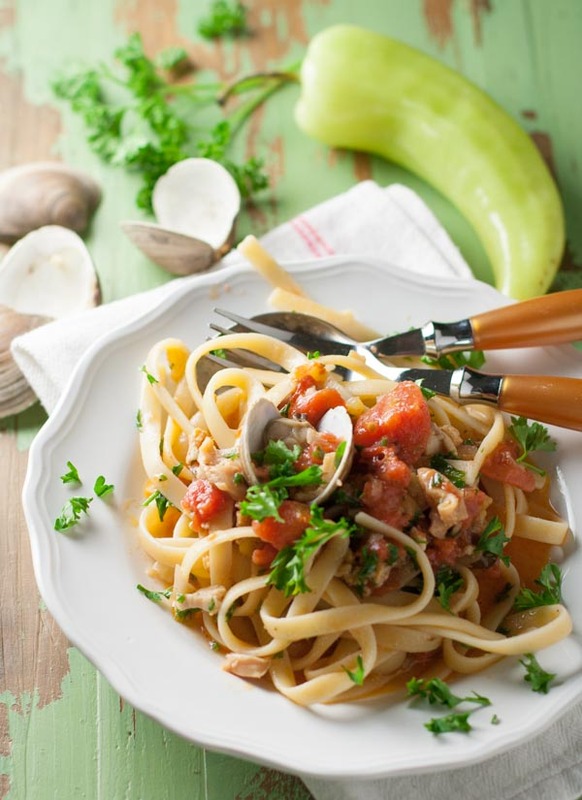 Fresh and canned clams, sweet onions, chopped tomatoes, white wine, and mild roasted banana peppers....yum!!! Blanch tomatoes in hot water for approximately 2 minutes, until skins begin to split. Cool slightly and then peel, seed, and chop. Or use whole canned tomatoes and drain, gently squeeze individually and then chop. Note that not all the seeds will be removed, but that is OK. Set tomatoes aside. Cut banana pepper in half lengthwise. Use gloves and remove seeds. Lightly coat outside with olive oil. Broil in oven, about 6-8 inches from heat, until skin is blackened. Cool slightly and peel and chop peppers. 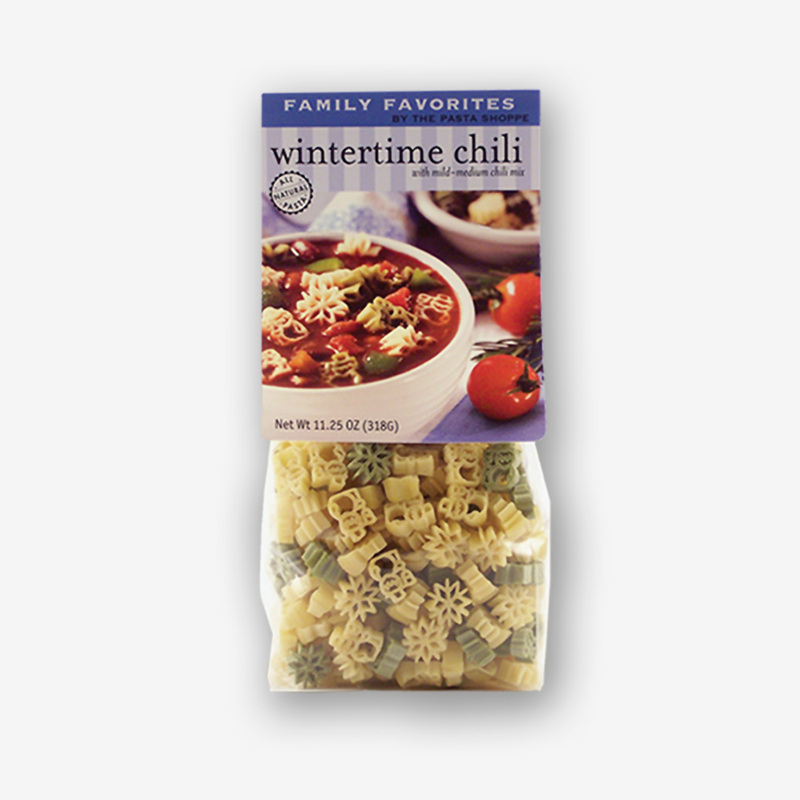 Cook pasta according to package, drain, and toss with 1 T. oil. In a large saute pan, saute onion in the olive oil until transparent. Add the garlic and stir for one more minute. Add the wine, clam juice, tomatoes, banana peppers, and salt and pepper. Bring sauce to a boil, reduce, and cook for 20 minutes. In the meantime, if using fresh clams, add one bottle of beer to stock pot and bring to boil. Add clams and steam with lid on reducing to med-high heat, until opened. May take 8-10 minutes. When sauce is ready, add canned clams, chopped parsley and stir. Add pasta to pan and heat. 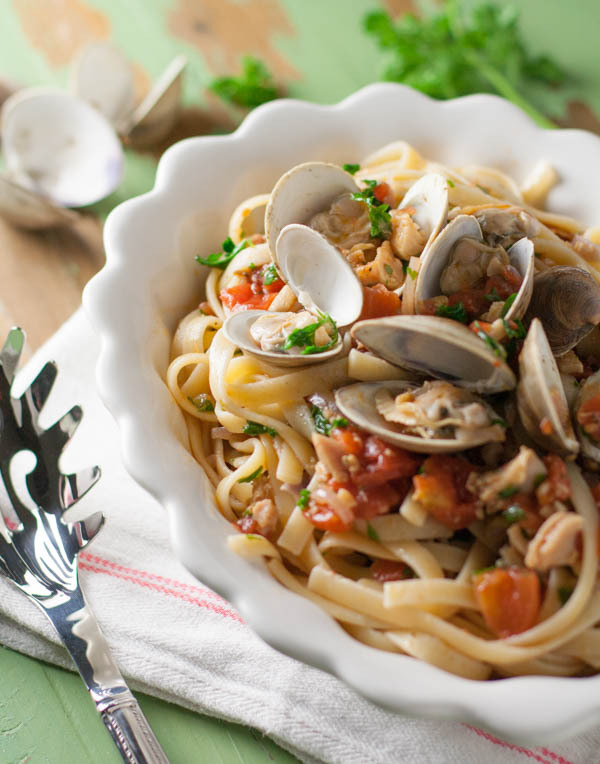 Place desired amount of pasta on plate and top with fresh clams and additional chopped parsley. Enjoy! They are amazing! Please try and let me know what you think!! Hi! 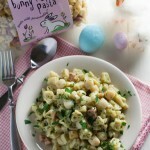 Making this tonight and noticed you never atatebin the recipe when to use the garlic! I almost forgot it altogether. Just wanted to pass that along. Smells good on the stove but we have not yet eaten dinner. Janet! Thank you! I’ll go back and add that step! I hope your family enjoyed the clam sauce…one of my all time faves!